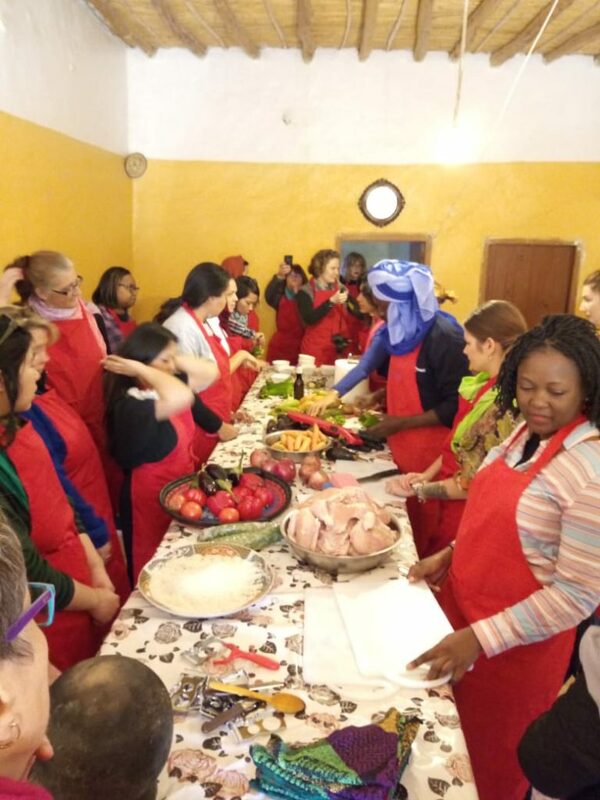 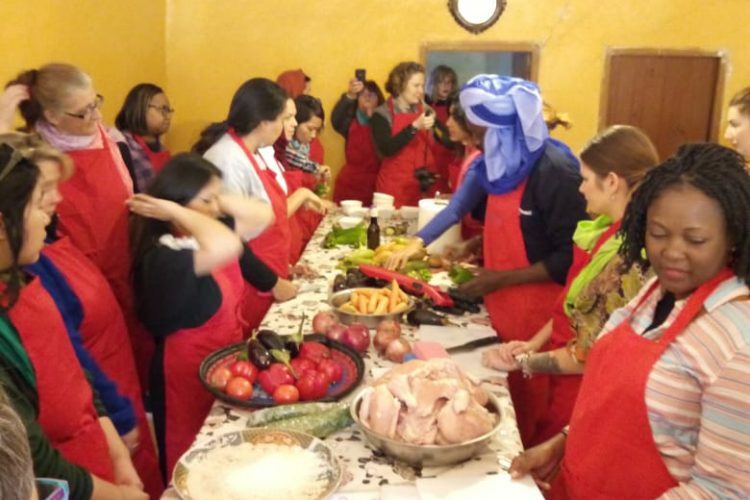 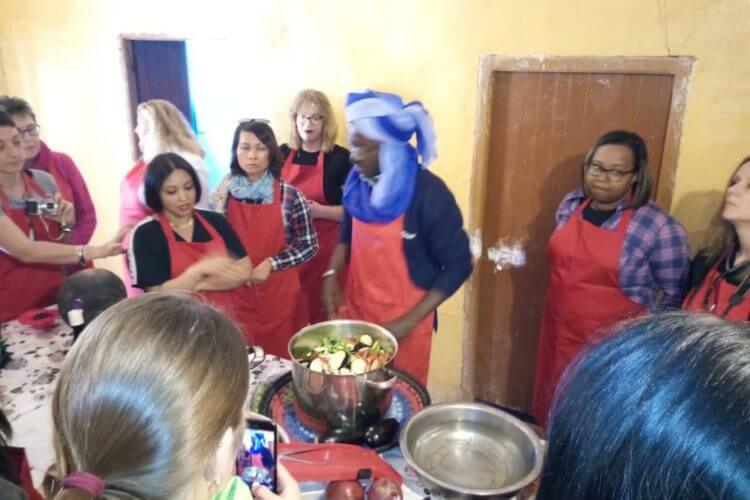 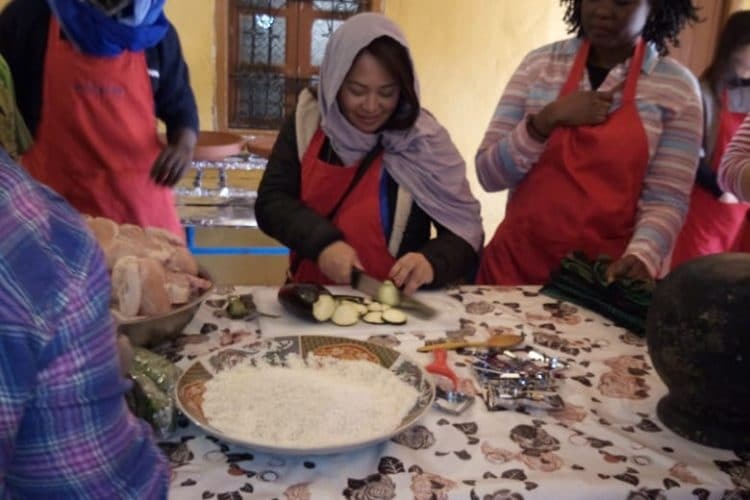 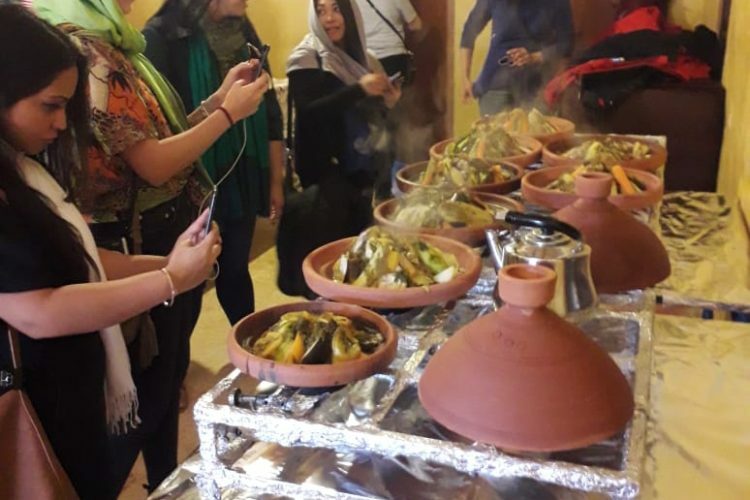 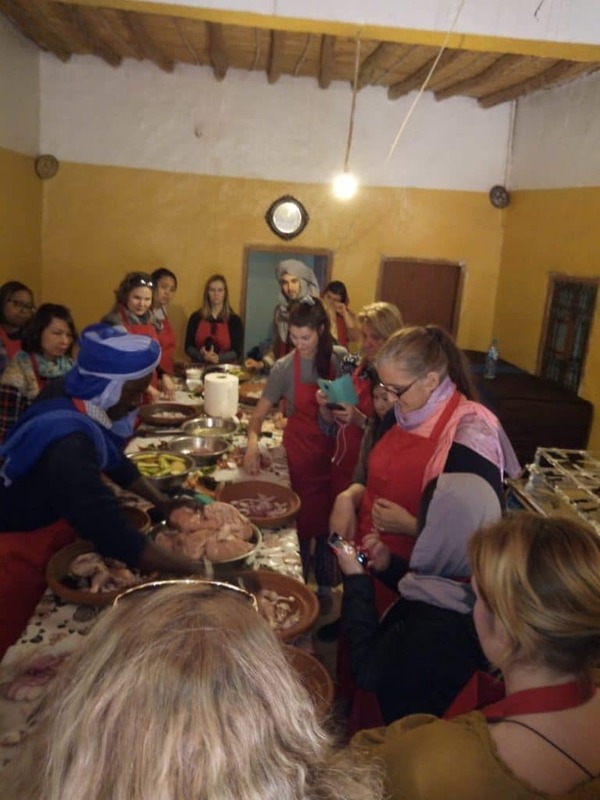 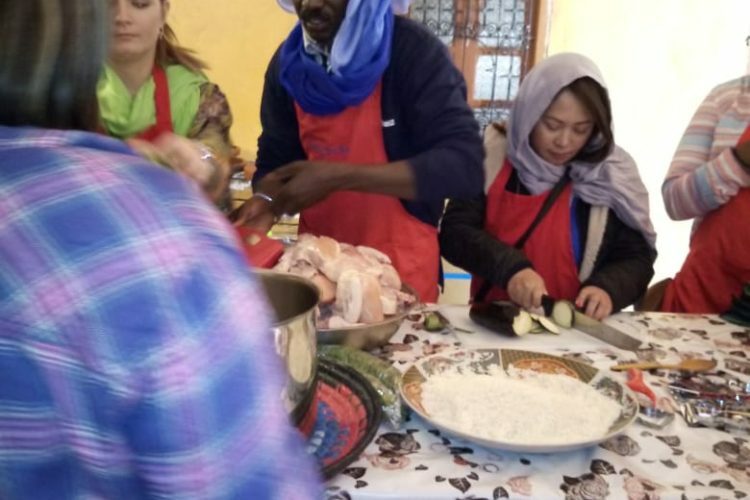 If you want to know the secrets of Moroccan gastronomy and learn to cook some of the best local dishes in the area of ​​Merzouga, we propose a Moroccan cooking workshop at the Nora restaurant in Ksar Khamlia, 7 km from Merzouga. 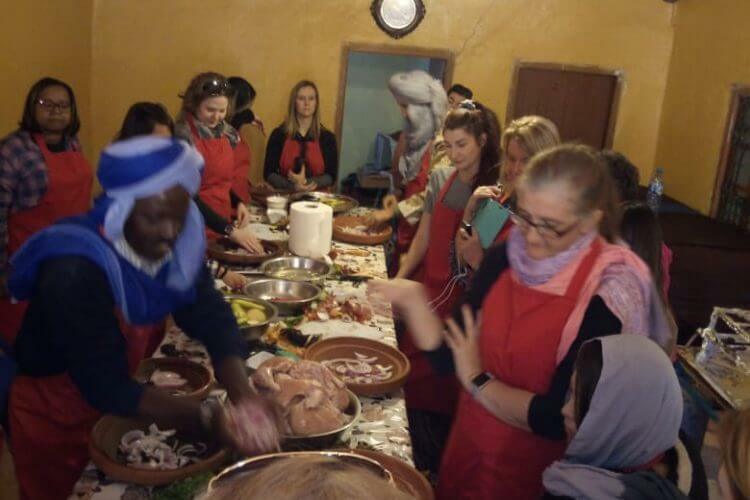 We invite you to participate in this course open to all. 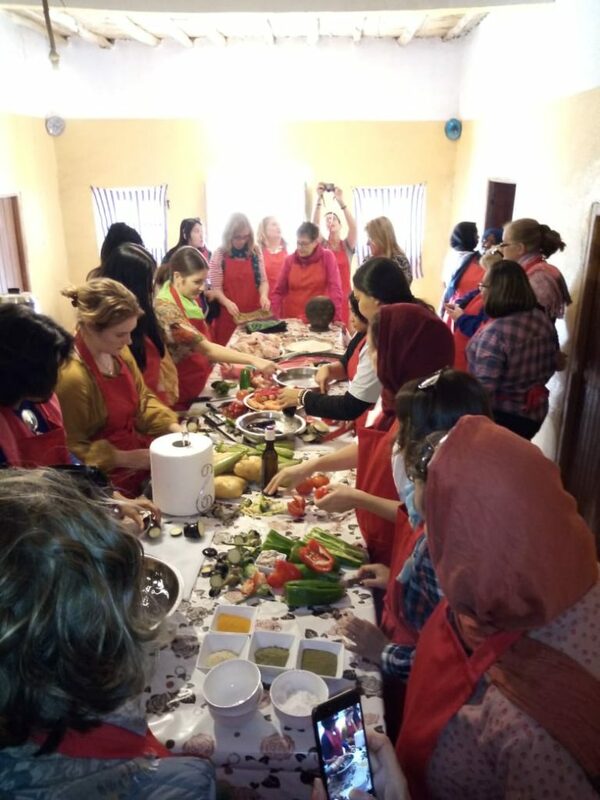 This course can be done in the morning or in the afternoon. 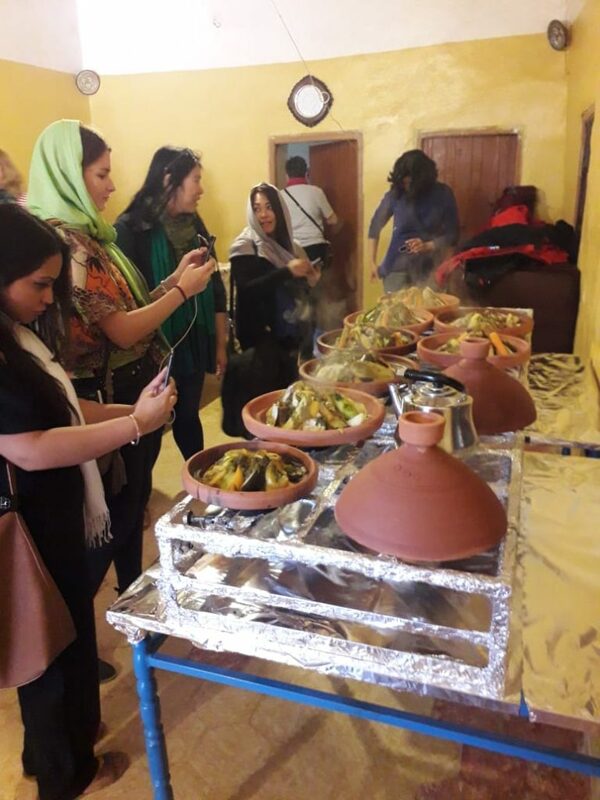 Those who attend the first course should go to the Berber souk, where they should buy the main ingredients, always accompanied by our assistants. 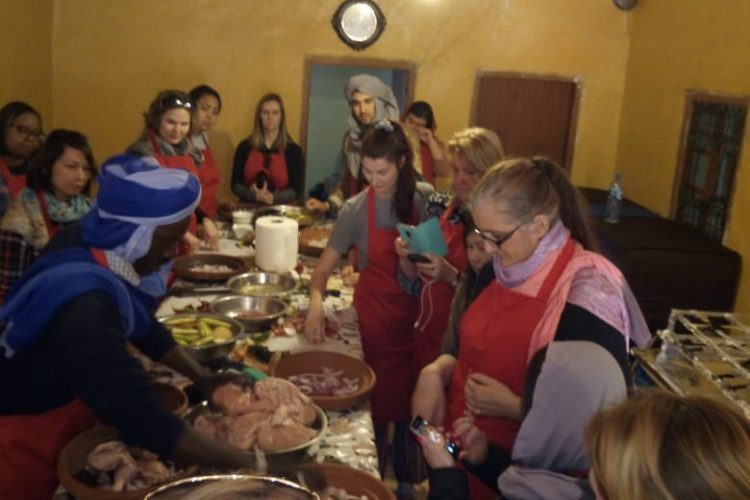 Once we have the raw material, we will go to Nora restaurant, where the workshop or cooking course will take place. 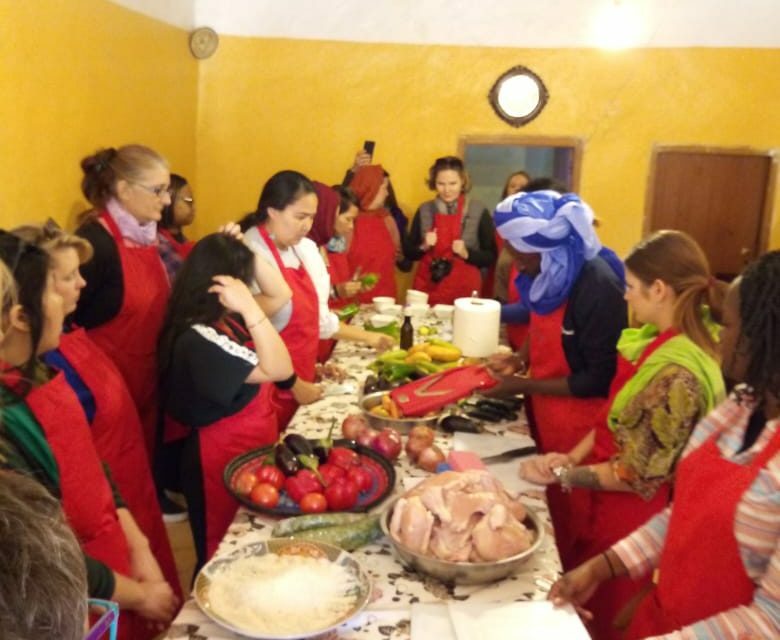 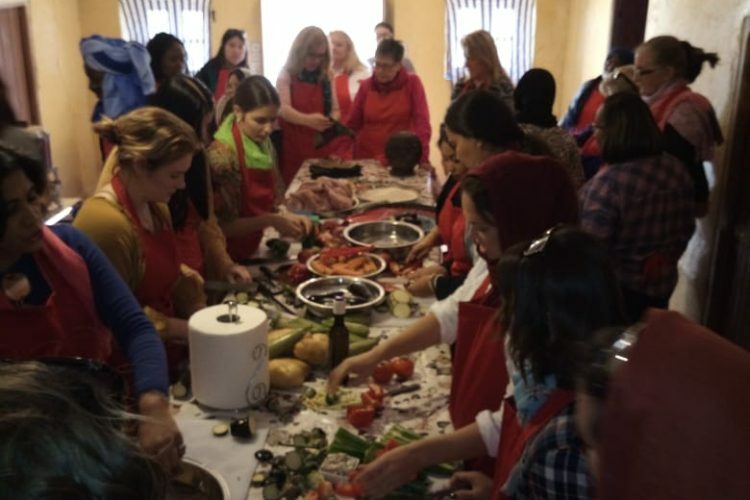 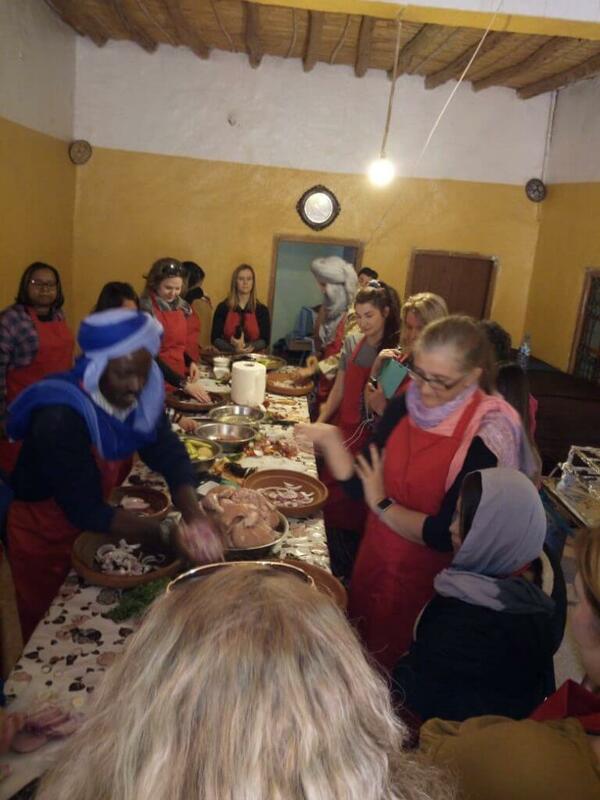 Here, one or more chefs will teach us through their demonstrations and instructions, how to prepare these magnificent dishes (Moroccan salads, harira, couscous, chicken tajine / kefta / veal, pastry, Berber pizza that is the most outstanding in the area). 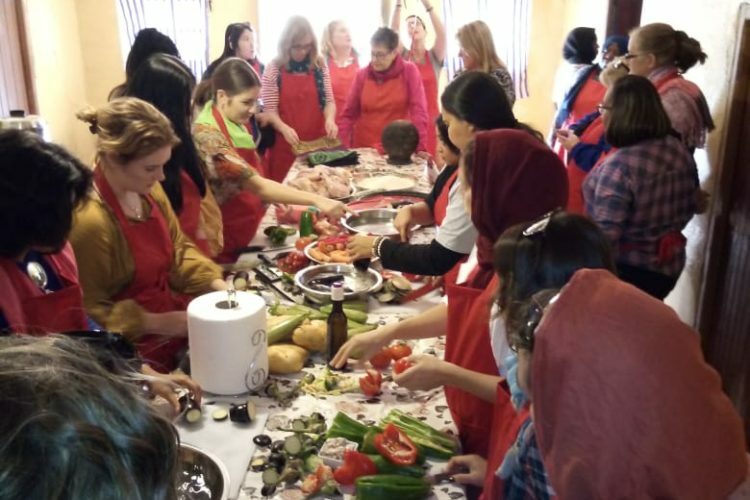 It is a practical activity and, therefore, whatever your experience, you must be clear that the important thing is to participate. 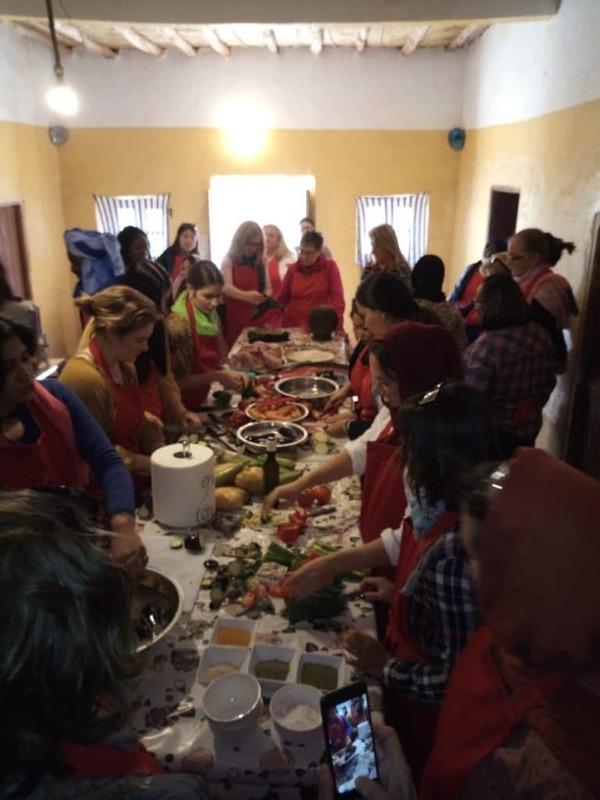 Above all, the idea is to have fun learning! 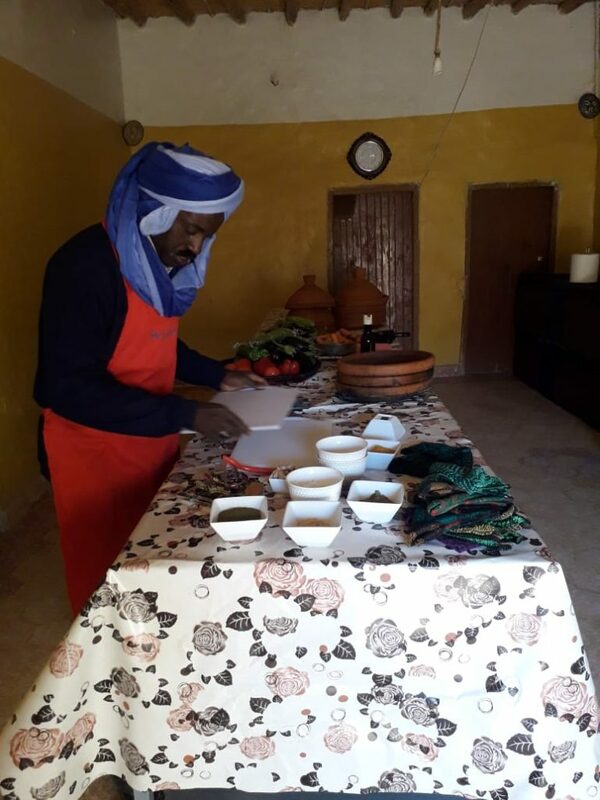 Once cooked, attendees can enjoy lunch or dinner, the menu prepared by our chef houssain. 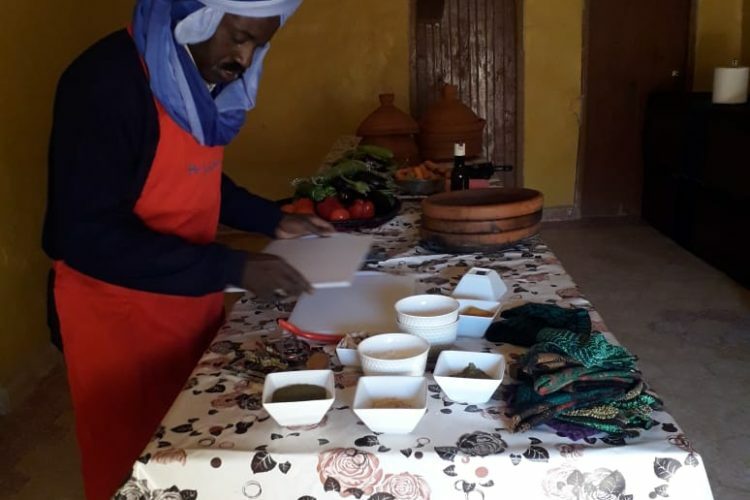 In Moroccan cuisine we will discover a gastronomy very different from ours, although familiar, and with a diversity of exquisite recipes. 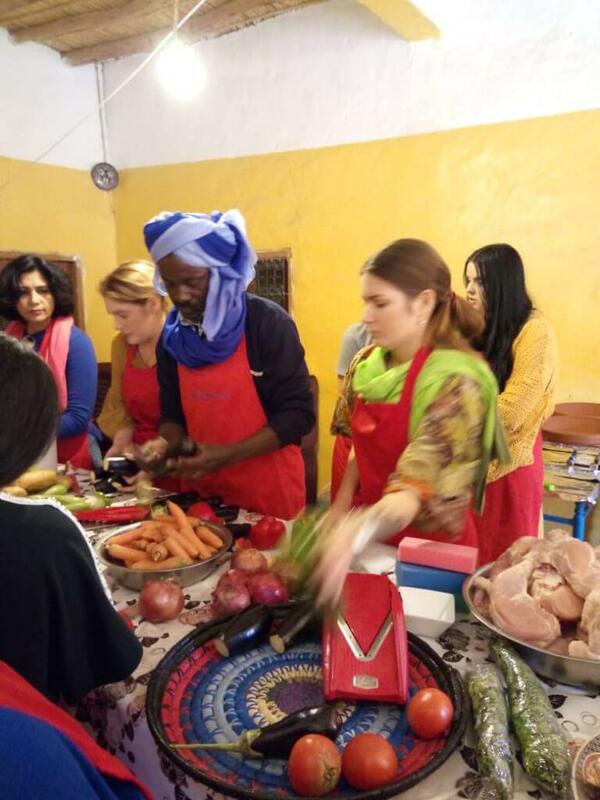 The culinary culture of Morocco is very rich in exotic flavors and aromas. 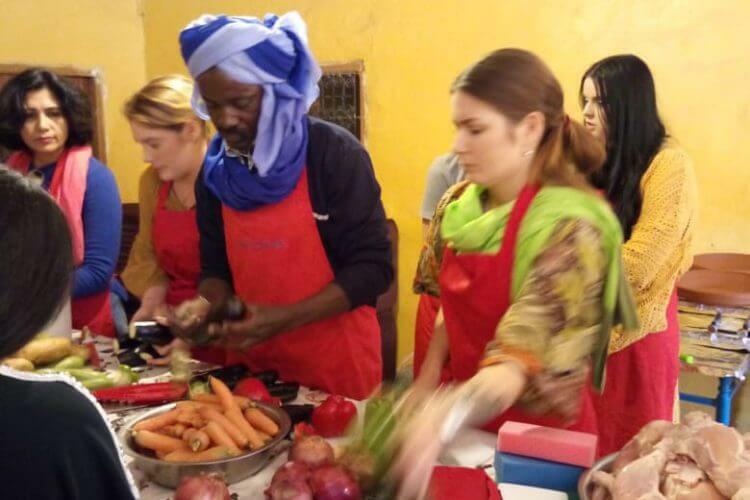 In your traditional cookbook you can not miss the spices, such as cinnamon, cumin, turmeric, ginger, saffron ... 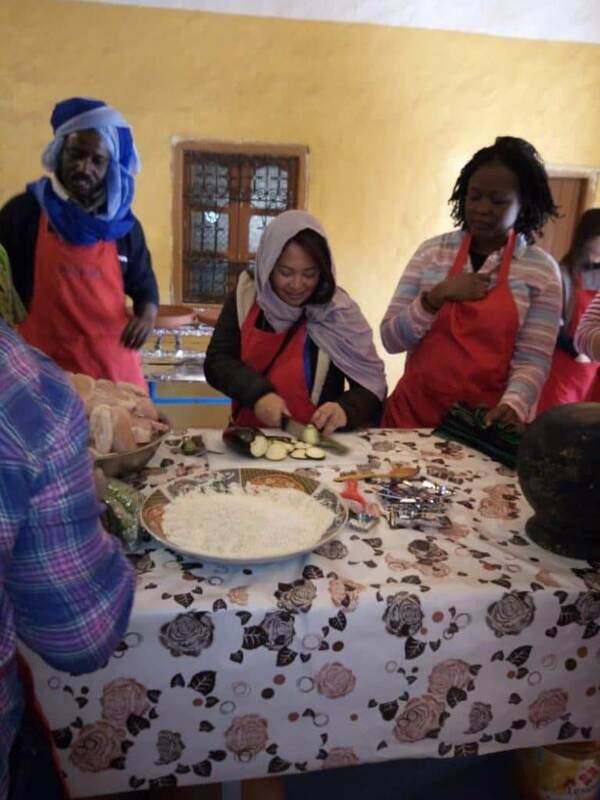 In addition, they usually mix sweet and savory to perfection in many of their dishes, such as in the cake . 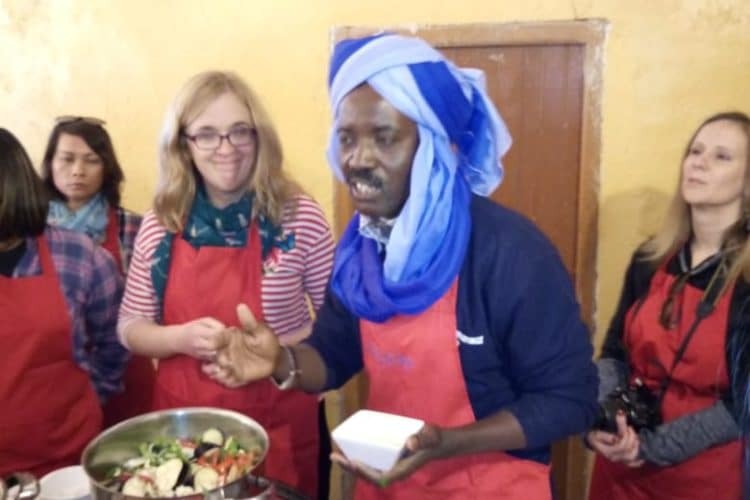 Do not think more and point to the course. 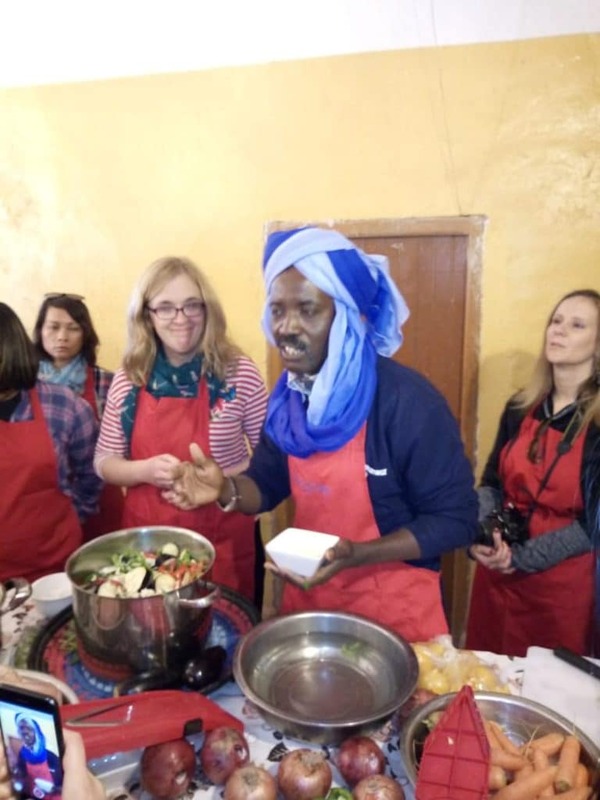 It is a unique experience. 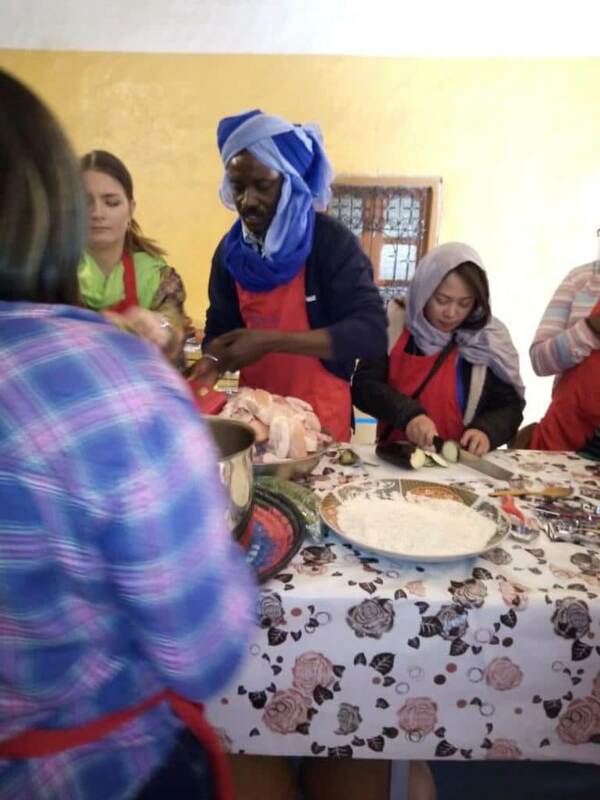 To subscribe to the Moroccan cooking courses, you must contact us and we will inform you of all the details. 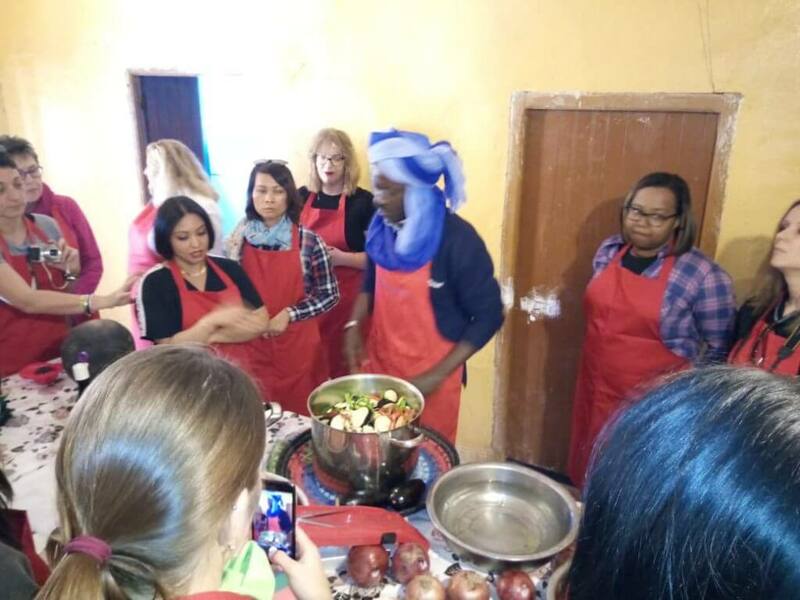 Do not wait any longer and aim for our courses.